If you loved the 3/4 peplum tunic in Eggplant, unfortunately, that color is completely sold out but if you love that color, it’s available in this dress! It’s such an unexpected shade for fall, so I can see why it was a favorite when we launched that peplum top! (And if you’re waiting on that 3/4 peplum, it’s on re-order now!) 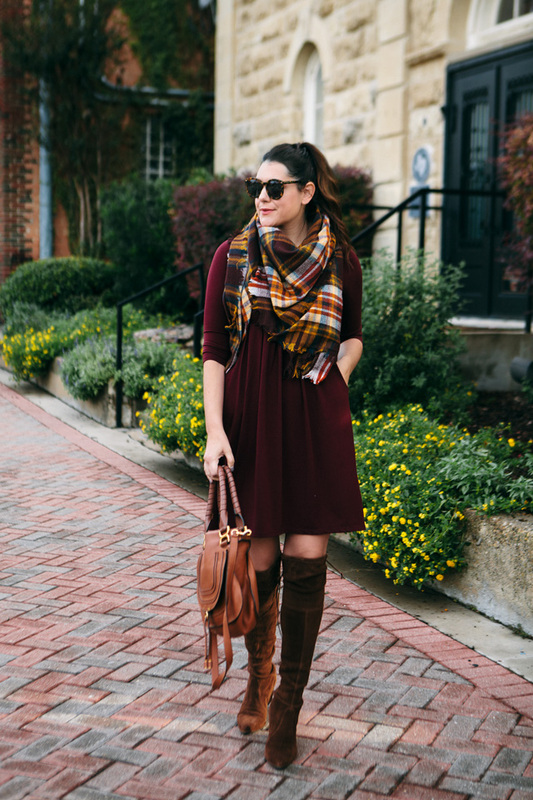 This dress is super cozy and would work perfectly with tall boots like here (obviously – ha!) or with booties and tights. 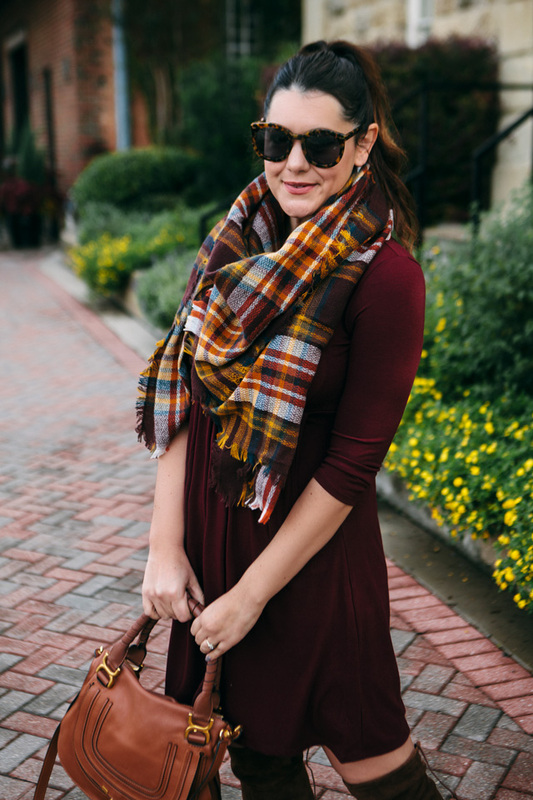 You can find this under $30 dress here! 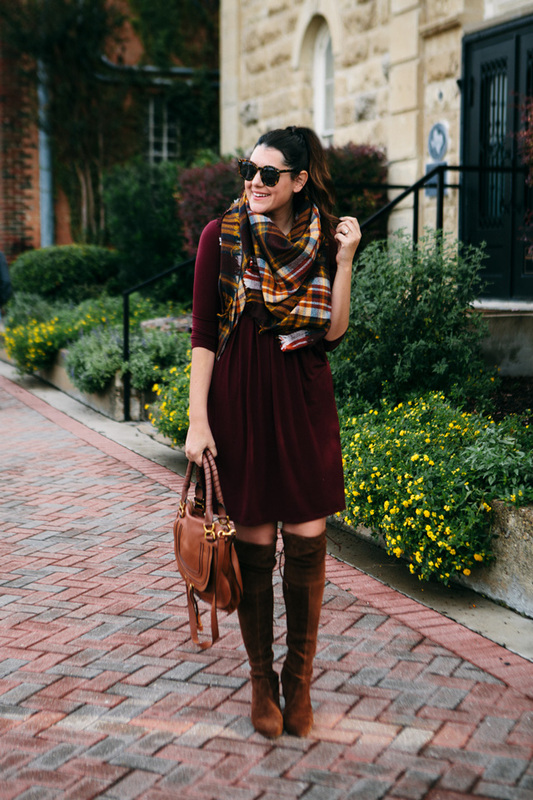 I found super similar boots to these past season boots I’m wearing here! I’ve linked them to the side and below! The dress fits true to size! I’m in the medium. It is more fitted in the bust, so if you have (D+) consider sizing up one. The boots are past season but I’ve linked similar! 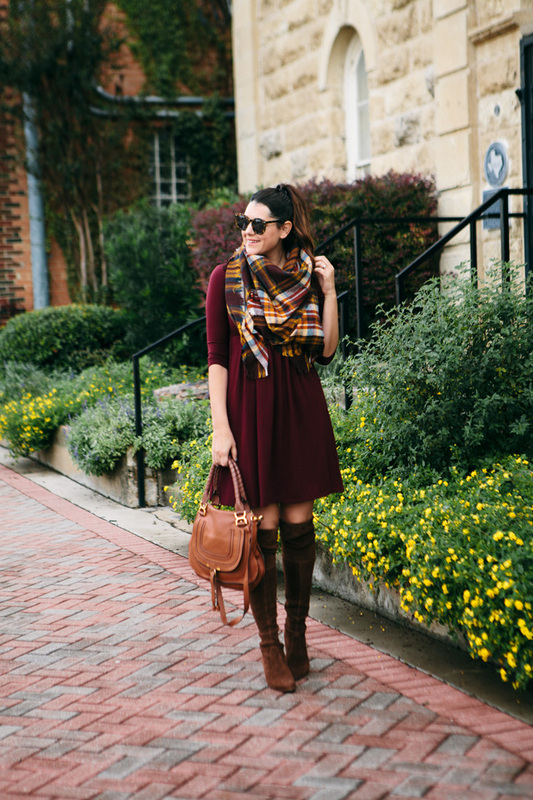 Love the rich burgundy color! It is a super cute dress!! Love the color! 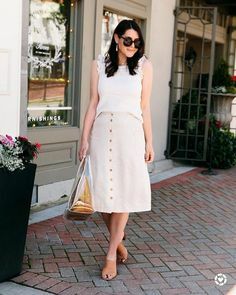 Your dress is a beautiful color and I love how you style it! 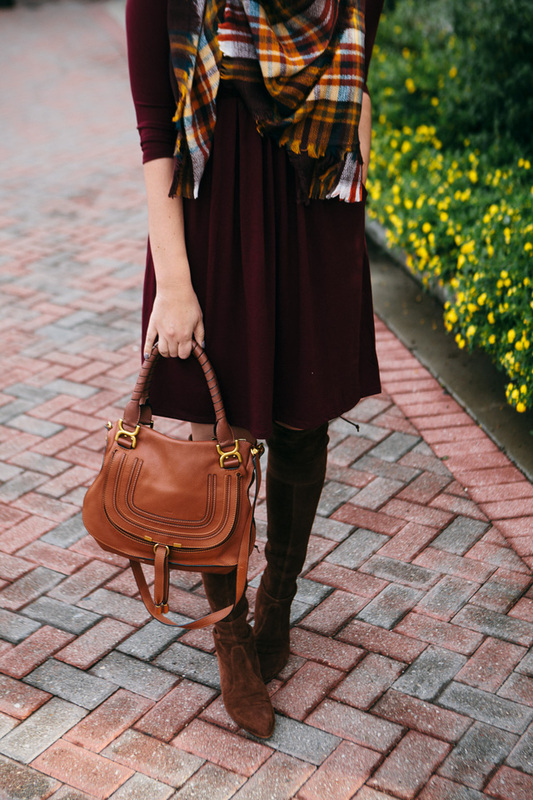 I’ve lusted after this purse since you first showed it…do you love it? worth the splurge? Medium is the right size? I’m looking at the small too…always looks so good on you!